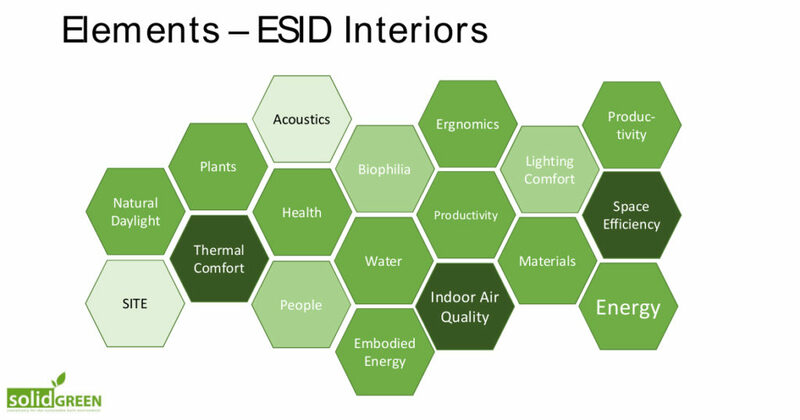 In response to market demand for spaces that foster improved well-being and higher productivity, interior design priorities are shifting from aesthetics and branding towards healthy and sustainable indoor environments – as ever, Solid Green is at the forefront of these new trends. 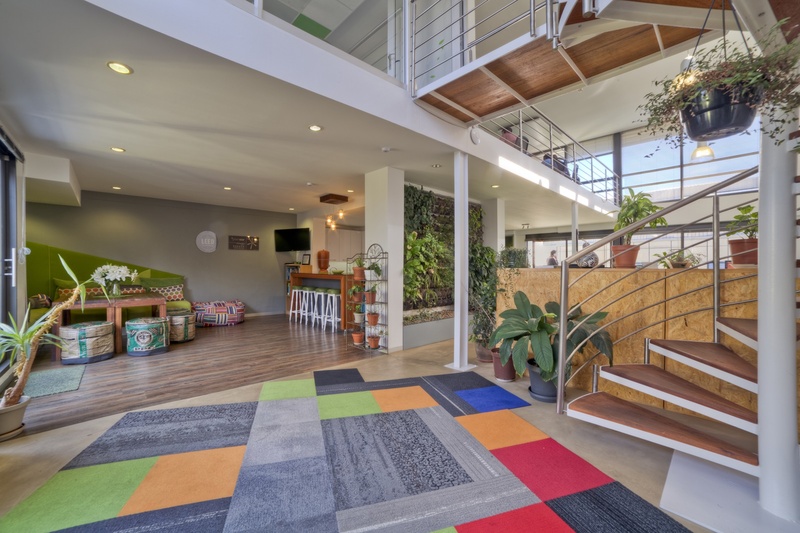 Following the launch of the WELL Building Standard in 2014, the GBCSA’s Green Star SA Interiors tool in 2015 and the Living Building Challenge in 2016, developers, owners and tenants are moving away from designing interiors purely for the sake of aesthetics and brand recognition, towards providing physiologically and psychologically healthy environments for building occupants. From a developer or building owner’s perspective, it makes business sense to provide tenants with a green building because rentals and occupancy rates are higher, resulting in a rapid ROI. Having said that, a green building is not necessarily a healthy building. Tenants are usually more interested in occupying healthy spaces that promote well-being and increased productivity, that are good for their corporate image and contribute towards retaining talent. A recent study entitled ‘The Dollars and Sense of Green Retrofits’ (Deloitte and Charles Lockwood) cites the primary motives for implementing green interiors as greater indoor air and environmental quality, which speaks directly to health, well-being and corporate environmental commitment. Reinink observes that the expenses of an average company are broken down as follows: 90% staff costs (salaries and benefits); 9% rental cost; and 1% energy costs. 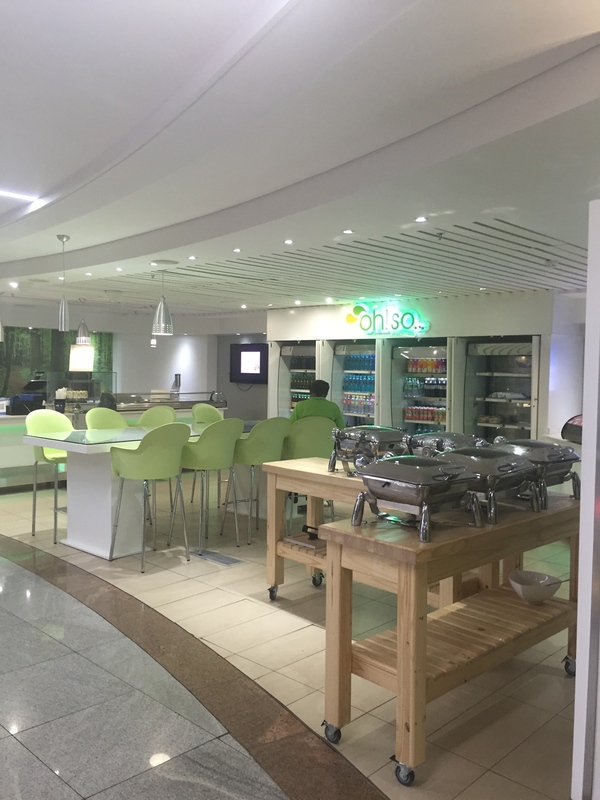 So spending R1 million to save 50% of your energy cost would have a smaller benefit than using the same budget to create a space that makes a 1% difference in staff productivity. Studies also show that hospitals which provide outside views for patients result in an 8.5% quicker release rate than hospitals with no views outdoors. In call centres with outside views, employees process calls 6–12% faster than centres without views. While the data is now available to support the case for well-being and productivity, concerns still abide around the cost of greening indoor spaces. However, research now indicates that, while the perceived additional cost over a conventional space is 0.9–29% more, the actual cost is in fact between a 0.4% saving and a 12.5% additional cost – depending on the design and systems implemented. The earlier you start in the process, the more cost effective it will be. The later you get involved, the more difficult it is to implement new systems and fewer options are available. Some of the ways in which costs can be cut are by integrating sustainable principles in the design from the outset, identifying costs as soon as possible, and drawing up a green budget. 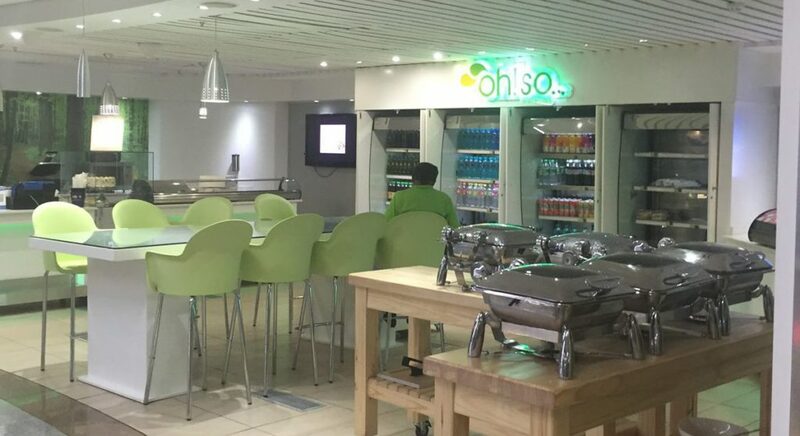 Costs associated with greening interior spaces are the fees for consultants (such as for a Green Star SA Accredited Professional, commissioning and acoustics engineers), registration and submission fees for Green Star SA certification to the GBCSA (and/or other certifications if required), the capital cost of the project and ongoing maintenance costs. 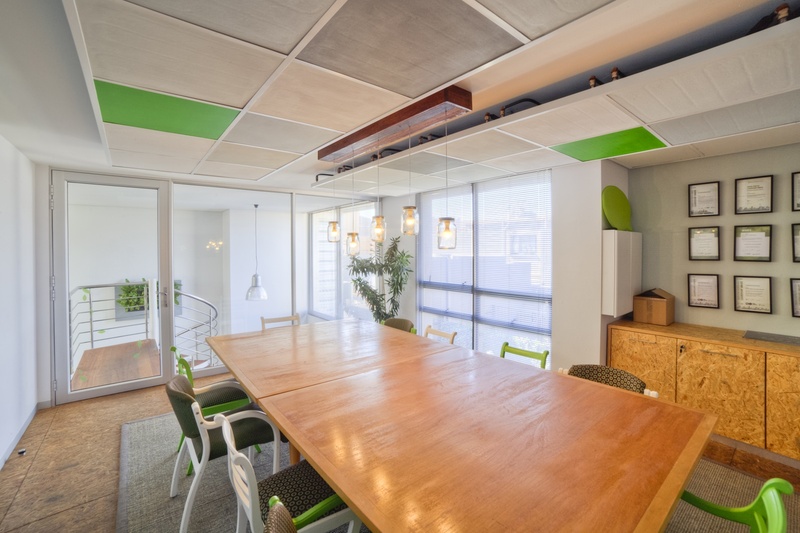 Of the different certification tools available, the Green Star SA Interiors tool differs from the Green Star SA Office tool in that the primary categories are Indoor Air Quality and Materials, whereas the Office tool is weighted heavily in favour of Energy and Water consumption. Also, the Interiors certification is an As-Built rating only, because the time spent planning and implementing an interiors project is short – this puts additional pressure on design consultants to make timeous and correct decisions. 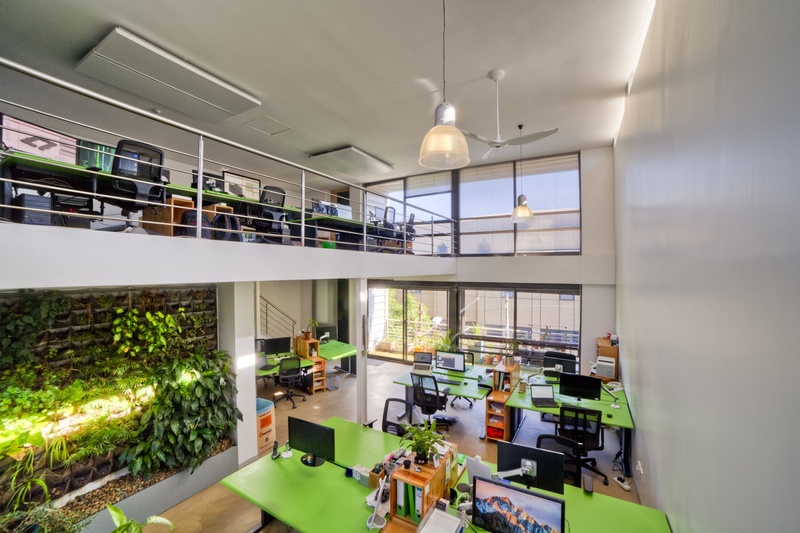 In addition to the Green Star SA Interiors tool, other programmes that may be pursued are the LEED Commercial Interiors certification, the Living Building Challenge, and the WELL Building Standard. The WELL Standard has a different focus, which is the health and well-being of people in a space, rather than the construction and performance of a building. The intention is to implement, validate and measure features that support and advance human health and wellness. Here the criteria are Air, Water, Fitness, Light, Nourishment, Comfort, and Mind. 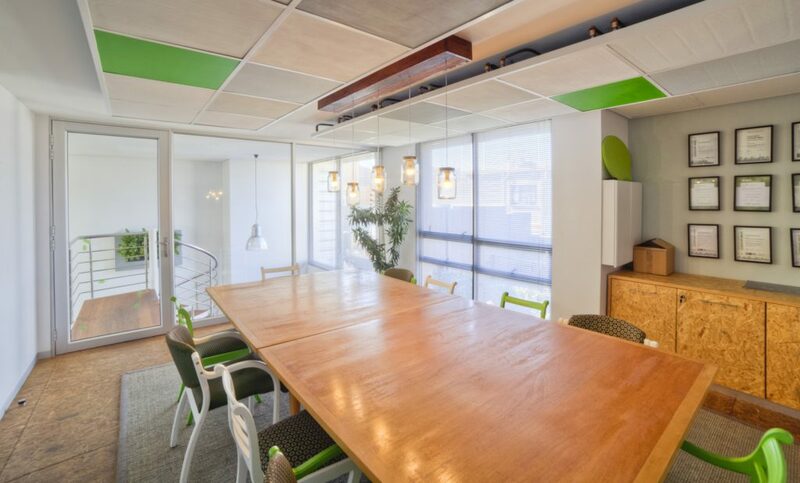 In South Africa, eight projects have been certified to date under the Green Star SA Interiors rating tool: Virgin Active on Alice Lane in Sandton, Standard Bank Kuruman, Standard Bank Century City, Standard Bank Simmonds Street, Google Jozi, Earthworks Offices Cape Town, the GBCSA Offices Cape Town, and Solid Green’s office in Rosebank, Johannesburg. 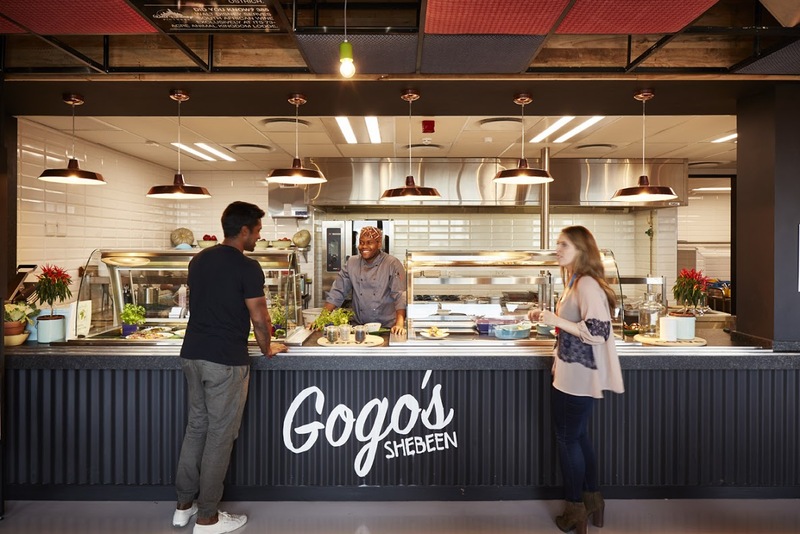 Probably the most challenging of these projects was the Google Head Office in Bryanston, which: achieved a 5-Star Green Star SA Interiors v1 certification; is targeting a LEED Gold for Commercial Interiors v2009; and had to adhere to the company’s stringent Healthy Materials Program, which aims to eliminate any toxins related to a fitout, such as formaldehyde and volatile organic compounds (VOCs). In 2015, the project won the International Green Interior Award 2015, selected from winners across categories that included Office, Residential, Retail, Education, Hospitality, Healthcare, Aged Care, Product Innovation and Students. 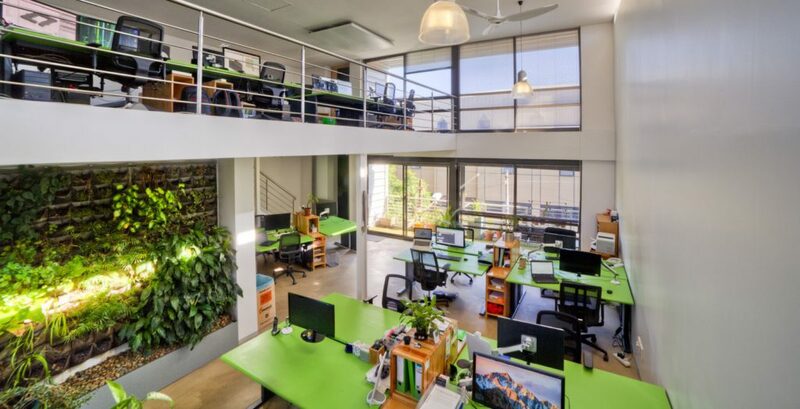 The Green Star SA Interiors tool is rated under nine categories: Management, Land use and Ecology, Transport, Indoor Environmental Quality, Water, Emissions, Energy, Materials and Innovation. The tool also offers an option for pre-certification of several similar projects within one submission. So, if a bank or a chain store has a portfolio of properties, some of the credits can be pre-approved, making future submissions easier. 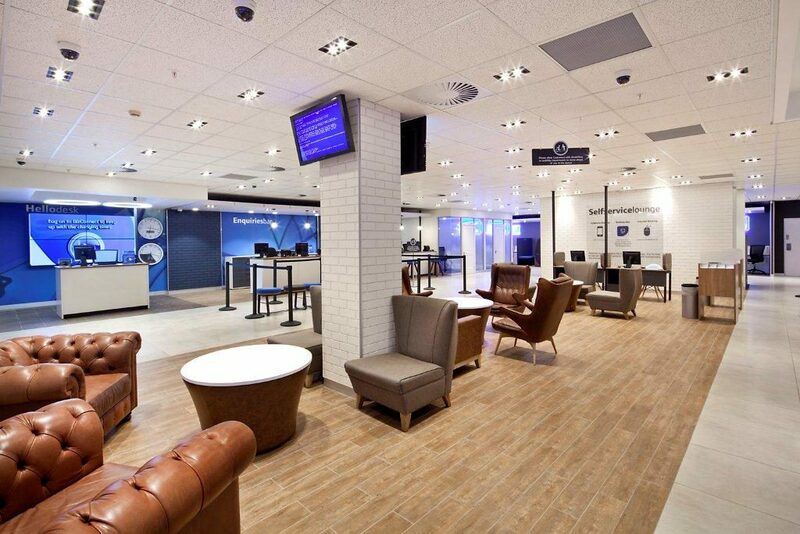 Standard Bank, for example, is doing a lot in terms of its building portfolio. To date, the bank has achieved 5-star Green Star SA Office v1 Design and As-built certifications for: its head office in Rosebank, Johannesburg; a 4-Star Green Star SA Existing Building Performance Pilot certification for its Global Leadership Centre in Morningside; a 5-Star Green Star SA Interiors Pilot certification for the renovation of its 3 Simmonds Street offices; and has started the journey on greening its branches – with three certified in 2016 and ten more registered for certification in 2017. 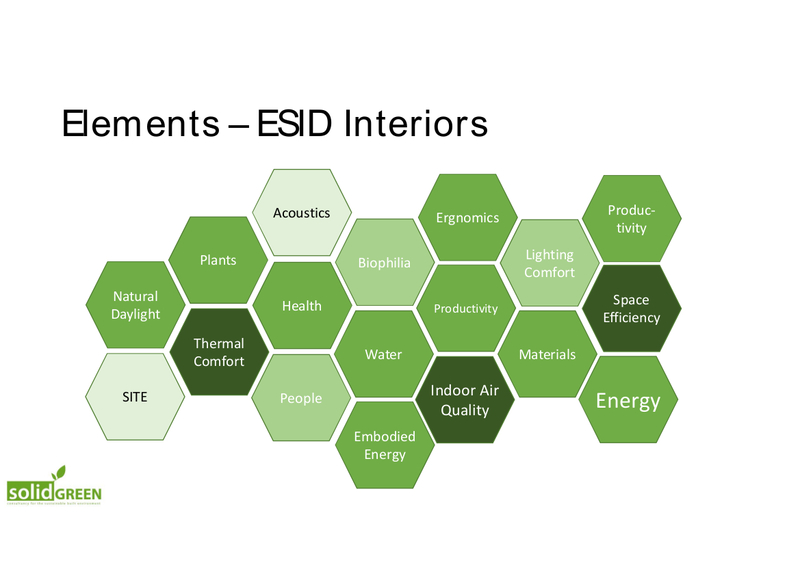 And so, through the development and accessibility of various certification tools, healthy and sustainable interior design principles are being adopted as a matter of course, driven by leaders in the property sector.